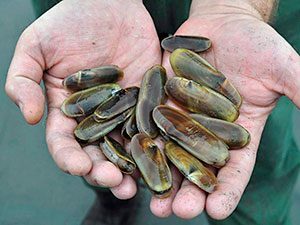 Oregon Department of Fish and Wildlife will host a meeting discussing Clatsop County’s razor clam season on Monday, Oct. 22 from 6:30-8:30 p.m. at the Seaside Civic and Convention Center, 415 First Ave., Seaside Room. 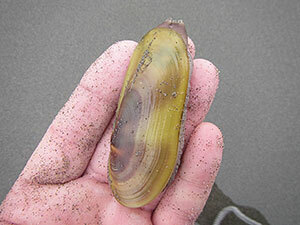 Shellfish managers are hosting the meeting to discuss options for protecting undersize clams and providing better clamming opportunities on Clatsop beaches next spring, after a recent stock assessment found mostly small clams. ODFW staff at the meeting will discuss razor clam biology, resource monitoring, as well as abundance data and ask for feedback on potential management actions. Options include extending a conservation closure through the winter to give clams time to grow into a size suitable for harvest. Last week, ODFW announced it would delay the opening of fall razor clam harvest along Clatsop beaches from the traditional date of Oct. 1 to Nov. 1 at the earliest after surveys found most clams are too small to be harvested by commercial clammers or desired by recreational clammers. Comments can also be emailed to Matthew.V.Hunter@state.or.us Please provide emailed comments by Oct. 21 to allow time for review before the meeting. We support the candidacy of Mary Faith Bell for County Commissioner.